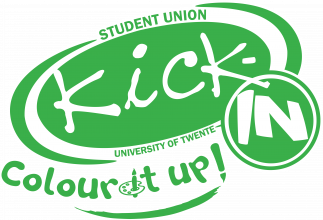 This year the Kick-In committee made an effort to make the Kick-In as sustainable as possible. Where possible, we try to economize our paper usage. We use the Kick-In app to keep everyone up to date and as an organization make efforts to minimize printing (one example of this is the prevention of double appendices in our scenarios). We always separate waste on the campus, so also during the Kick-In! Look for the stickers on the garbage bins. All around campus there are water taps available and during the Kick-In we install even more, so you can refill your bottle everywhere. All our activities are on campus or within 15 minutes biking distance. So there is no excuse not to take your bike. We also use local products. Our beer, for example, is very local. We exclusively serve Grolsch, which is brewed right here in Enschede! Grolsch also has one of the most environmentally friendly breweries in the world.